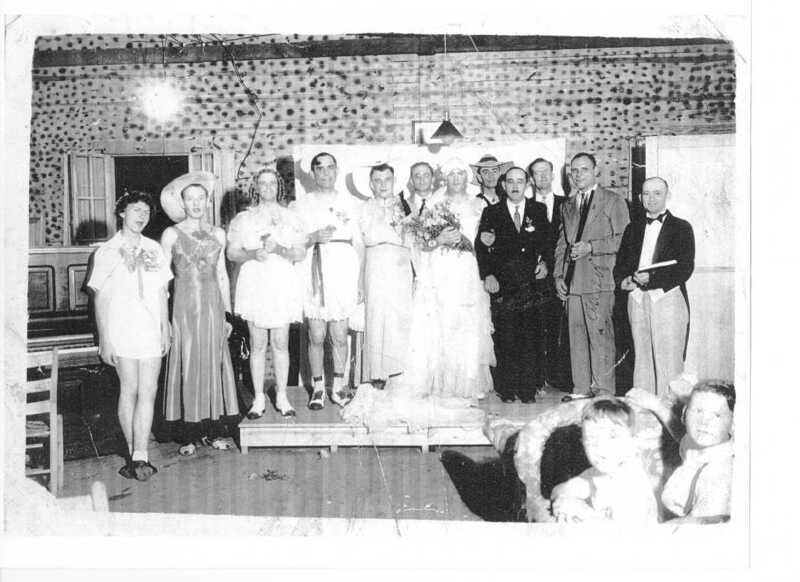 Comments: Glen E Counts (Nee: Counts) | Levy (North Little Rock) AR United States | 1921-1940 | Comments: This is an all male wedding. Was done as a benefit in Levy (North Little Rock, AR) during the depression years. My grandfather, Glen E. Counts, was the bride.